Get your Ren-sabers ready! Crossguards are now officially legal in Lightspeed Saber League. There are, of course designed drawbacks to using them. First of all, you can kill yourself. So learn to control your quillons. Second, the weight minimum is more than twice that of a Rey-class saber. Finally, there is a length minimum as well. This is to create a slower, heavier weapon with high defensive capabilities, mostly used two-handed. In a mixed weapons division, this ensures that no weapon will overtake the other, and we can enjoy a wide range of styles and techniques in the field of battle. Please note that these numbers are subject to change as we go forward with experimentation. The weight minimum will most likely be loosened. But we do want this to be a completely different style, and that no matter which weapon you choose, you won’t find one that has everything that you want. 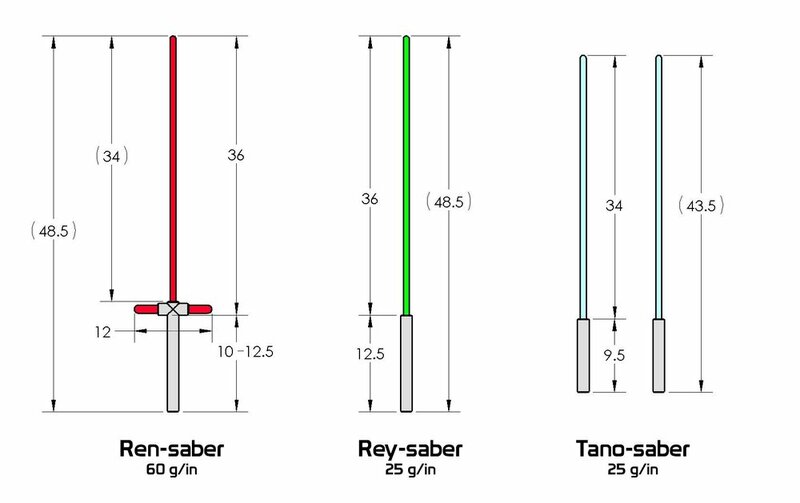 If you’re not sure about any given Ren-saber to purchase on the market, we can tell you this: If it’s a two-hander, it’s probably heavy enough and long enough. The saber in the photo is a Saberforge Templar with four extenders attached and a small endcap. The total grip length, not including the guard area, is about 12”. The quillons were shaved down from 14” total width to 12”. So if you’re getting a new setup, get a few extenders just in case.